The common highway maneuver, known as lane-splitting, allows motorcyclists to surpass traffic by weaving in between lanes, sometimes at fast speeds just a few inches away from other vehicles. 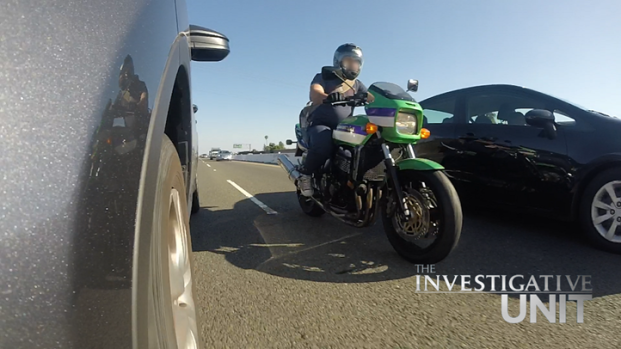 The practice is illegal in every state in the U.S. except California, however, the NBC Bay Area Investigative Unit discovered that it’s nearly impossible to make a determination on how safe or unsafe the maneuver currently is across the state because California does not track how often accidents involve lane-splitting. Mistretta’s father, Robert McDonald, 73, was traveling through Sacramento along Interstate 80 when he decided to lane-split on the highway. 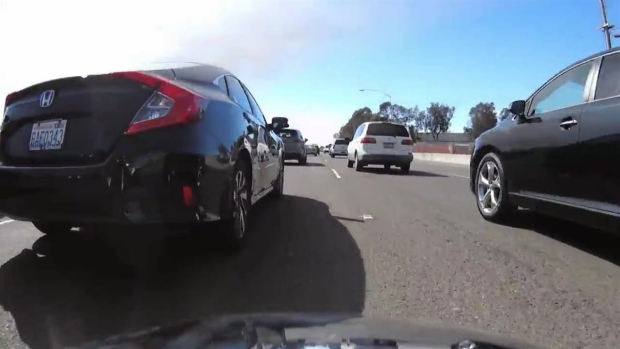 Should California be tracking how often accidents involve motorcycle lane splitting? California has allowed the practice for decades without knowing how often people are injured or even killed. In an effort to study the issue, the state requested that law enforcement temporarily track that information during a 14-month period: June 2012 to August 2013. The California Office of Traffic Safety commissioned the study, which was done by the University of California, Berkeley. Of the 5,969 motorcycle accidents recorded by law enforcement, the study found 997 involved lane-splitting – that’s 17 percent. A motorcyclist travels southbound on Highway 101, near San Mateo, while lane-splitting. In analyzing the crash data, the study's authors determined lane-splitting can be safe if certain guidelines are met. “Lane-splitting appears to be a relatively safe motorcycle riding strategy if done in traffic moving at 50 MPH or less and if motorcyclists do not exceed the speed of other vehicles by more than 15 MPH,” the study found. However, the study also highlighted the inherent dangers of lane-splitting. Video shows what it is like to lane split. Berkeley also surveyed 709 motorcyclists in California and found 80 percent lane split at least some of the time when traveling on freeways. Of those same riders, 37 percent said they “always” lane-split on freeways. Once the 14-month data collection period for the study ended, California stopped tracking how often lane-splitting accidents occur. Since lane-splitting is not an official violation in the state’s vehicle code, Starkey believes there is no reason to track the information. He admits, however, lane splitting can certainly play a role in an accident. A motorcyclist lane-splits while driving southbound on Highway 880 near Fremont. California Assemblyman Bill Quirk, D-Hayward, authored legislation to require the DMV and California Highway Patrol to issue safety guidelines for lane-splitting, such as speed restrictions. “I don't want motorcyclists splitting lanes unsafely,” Quirk said. In 2013, the California Higway Patrol released its own set of guidelines for lane-splitting, recommendating that bikers travel no more than 10 miles per hour faster than surrounding traffic. The guidelines, however, were scrapped in 2014 after the Office of Administrative Law received a complaint that the guidelines could be misconstrued as actual laws, which the California Highway Patrol does not have the authority to implement. Quirk's legislation, Assembly Bill 51, was signed into law by Governor Jerry Brown on Friday and officially codifies lane-splitting as a legal maneuver across California. The bill authorizes the DMV and California Highway Patrol to begin developing safety guidelines in January, however, Quirk believes that process could last a year. He is a staunch supporter of lane-splitting and believes every other state in the country is putting “their motorcyclists at risk” by banning lane-splitting. 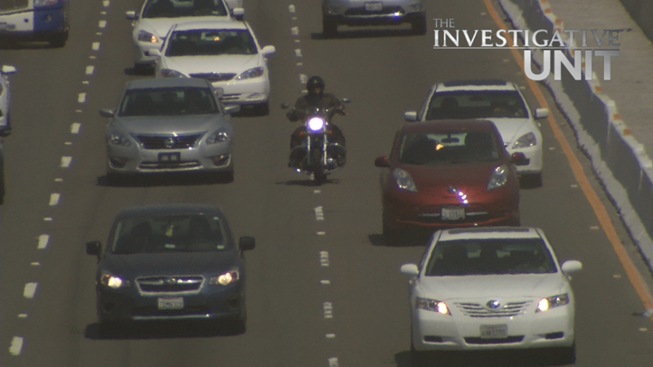 During an interview with the Investigative Unit, Quirk was surprised to learn that California no longer tracks how often lane-splitting accidents occur. April Mistretta and her younger sister Kim McDonald, 24, say they are torn on whether they believe lane splitting is truly safe, but wonder if more information might have helped save their father.